In case you haven’t caught on over the years, I love stories. I love the true life stories about how things were created throughout Disney properties and films and I love the ways in which Disney utilize environments to tell stories. Sometimes it’s easy to see what the story is in front of you, while other times you need to story presented to you. In the latter instances Disney has a remarkable way of telling stories in their most localized form. Look no further than The American Adventure to see what I’m talking about. Around the time of the Civil War, the presentation starts using photographs. Prior to this everything was done in paintings because that was the medium of the day. The same goes for color pictures or moving pictures, aka film. If that is how stories were told in those days, that is the medium we are presented with. It should come as no surprise then that when the Wilderness Lodge opened its grand doors in May of 1994 that guests were give information that they’d want to know, such as dining options, a map, and recreational offerings, in the form of a newspaper. Known as The Silver Creek Star, the publication also featured tales of the valley’s occupants, legends associated with landmarks, accounts of local wildlife, and even some personal and help wanted ads! My favorite entry from the Star, however, is the tale of why the Wilderness Lodge was established. Go ahead and sit a spell while the Star tells the tale. Genevieve Moreland was a woman naturally inclined towards literature and the arts. This was not a common background for a person who would eventually come to establish a frontier outpost. Yet it was the combination of her artistic nature and her father’s love of the land that would create one of the first wilderness preservation areas in the West. Upon receiving her father’s request to meet him in the wilderness, the young art curator took a leave of absence and prepared to set off for the frontier. Being acquainted with a great many artists of that time, she was approached by Frederich Alonzo Gustaf, a peculiar young Austrian man who heard of her plans. A rather eccentric foreigner, he had been consumed with the passion to capture on canvas the romantic new land he had heard so much about. Unable to rebuff his persistent requests to join her, she finally agreed. Little did she know that he would become an asset in his own bizarre way. Jenny, as her traveling companion called her, and Gustaf reached St. Louis within two months. For the first time in many years, the Colonel and his daughter were reunited. Although taken aback by the strange young man, the Colonel was not opposed to bringing the artist along. He knew that the frontier would provide inspiration for great works of art. After an arduous trek, they reached the valley which the Colonel had so eloquently written about. Standing on a precipice overlooking the lake, Jenny and Gustaf gazed onto the natural wonder and knew their lives would be changed forever. Using the small fortune her father had raised from the fur trade, they brought out a crew of men from St. Louis and had a small lodge built near the fresh water spring. Jenny would remain in Silver Creek Springs for the remainder of her life. She established a preservation area in her father’s honor, where others could enjoy the natural beauty of the wilderness. The Wilderness Lodge welcomed artists, scientists and nature lovers of all kinds over the years. AS the number of visitors grew, the Lodge expanded to accommodate them. 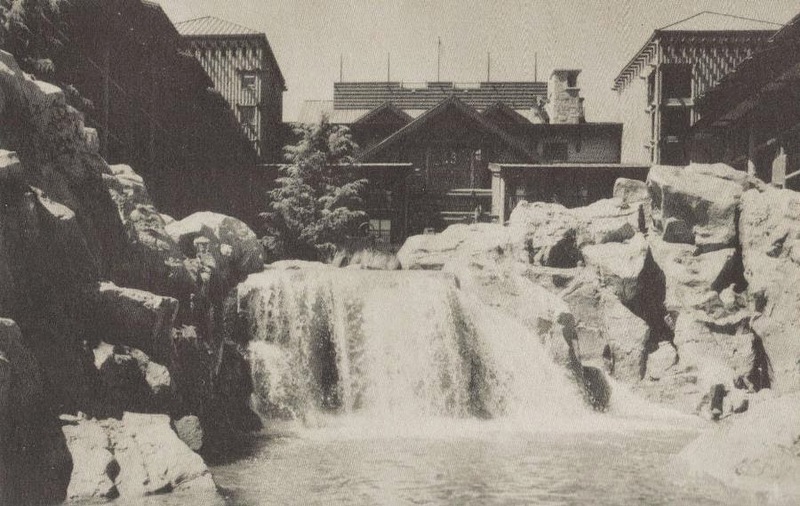 Eventually, they added rooms that grew around the springs, making it part of the Wilderness Lodge. Gustaf wasted no time in producing some of the most magnificent paintings of the West, both here and throughout the frontier. His works and those of others inspired the imagination of an entire nation. In a land he so loved, the Colonel saw his dream fulfilled.